GMOnStar is GM’s primary means of communicating with its vehicles. General Motors and the rest of the auto industry is following Tesla is one potentially important area — over-the-air (OTA) software and firmware update to vehicles. Tesla routinely updates its fleet of vehicles by beaming out new code; owners go to sleep and wake up to a car that can do new things. But GM is ready to catch up — and to leverage its huge fleet of connected vehicles, the largest in the industry thanks to the carmaker’s longstanding use of OnStar, a subscription communications, connectivity and safety feature that comes with every new GM car, truck, and SUV. On a conference call with analysts after GM announced second-quarter earnings that exceeded Wall Street expectations by a decent margin, CEO Mary Barra was asked by Morgan Stanley analyst Adam Jonas if a more ambitious OTA rollout was planned, as if so, whether GM would institute it before 2020. Barra said that carmaker would. 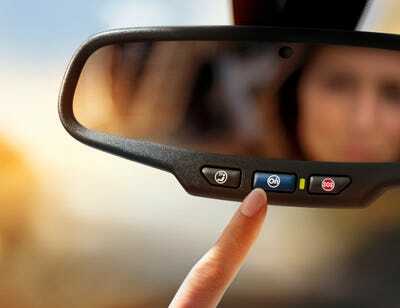 For the time being, however, GM’s OTA capabilities come via OnStar. But Barra added that GM is developing a new electrical architecture for its vehicles — that’s distinct from electric cars, by the way, as all gas-powered vehicles run systems of internally generated electricity — as well as a next-generation of its already excellent infotainment setup. Up to this point, traditional carmakers have been wary about matching Tesla’s OTA patterns out of concern for safety and hacking. But GM is actively developing new ways to use the data that its owners and vehicles generate and capture. Recently, according to Barra, GM hired a dedicated Chief Data Officer. He’s A. Charles Thomas, who”was chief data officer and head of enterprise data and analytics at Wells Fargo,” the Detroit News reported. So the biggest of the Big Three is getting more serious about Big Data. “I agree that’s an opportunity, and we want to seize it,” Barra told Jonas.